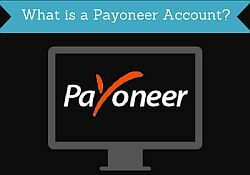 What is a Payoneer Account - a Legit Way to Transfer Money? What is a Payoneer Account – a Legit Way to Transfer Money? If you have any kind of income online, you have probably also been looking for the best way to get your money paid out. I am myself using online money transfer services to for example get paid from the survey sites I am a member of, but they can also be used for many other purposes. Most people have heard of PayPal as an online payment method, but what is a Payoneer account? And is it a legit and trustworthy service to use? I am myself using Payoneer to get paid from ClixSense, but it can used for many other purposes as well, and in this article, I will give you the details about this online money transfer service, what you can use it for, and if it is worth using. What is Payoneer and how can you use it? Payoneer was founded in 2005 and is based in New York. It is now available in over 200 countries, in 150 different currencies, and has more than 3 million users. It is an online money transfer service and whether you are a private person that need to have money transferred from a company or another private person, or if you are a business that need to get paid, you can receive your money from all over the world with a Payoneer account. Once you have received your money, you can then withdraw or use them in a few different ways depending on your preferences. I will go more into details about these options below. What can you use Payoneer for? I am myself mainly using Payoneer to get paid from survey companies, and that is also the reason I am making a whole article about Payoneer here on my website that is mainly about getting paid from surveys. Many people are not aware that some platforms offer Payoneer as a payout method, and it can be a great platform to consider for certain survey sites. If you are working with affiliate marketing on your website, Payoneer cooperates with many of the top companies within this industry, and you can choose to have your earnings paid out through Payoneer from for example Tradedoubler, ClickBank, Matomy, dailymotion, and many more. Amazon Associates is a way to get paid a commission to promote Amazons products. It is also affiliate marketing, but as it is one of the most popular programs, I think it needs to be mentioned separately. If you for example are promoting products from Amazon.com, but do not live in the US, which is the case for many people, you can only get paid through check or with Amazon gift certificates. However, you can also use a Payoneer account and get your money this way. That is the case fornot only Amazon.com but also in the platform in the UK, Spain, Germany and more. So if you are an Amazon Associate, Payoneer can be a great way to receive your money electronically and save a lot of fees, and many people are not aware that this option exist. The internet has made it easy to work as a freelancer online, and offer your services worldwide. You then of course also need a way to be able to get paid for your work. If you are a freelancer on platforms like fiverr, Upwork, 99designs, or welocalize, you can use Payoneer to get your money. If you are renting out your home through platforms like airbnb, HomeAway, PandaBed and more, you can receive and send money easily through Payoneer. This is not a complete list of what Payoneer can be used for, and the offers are continuously being updated. To get a full list of what you can use Payoneer for, you can visit the website through the link below. How can you withdraw money from your Payoneer account? One thing is that it is great to be able to receive money electronically in a fast and easy way. But it is also important what you can do with the money once they are in your Payoneer account. Below I will give an overview of this, so you can see if that fits you. You can choose to have your money transferred from your Payoneer into your local bank account, and in your local currency in over 150 different countries. There will be a fee for this, which you can read more about below. Personally, I prefer online money services that offers this option, as I think it nice to know that I can always get the money to my bank account, if I want to. But that is of course a matter of personal preferences. Below you can see an instruction video from Payoneer about to to use this payout method. You can transfer money to any other Payoneer customer all over the world for free. So if you are doing business with or buying services from platforms that offers this method of payment, it can be a great and free option to use. Payoneer also offers the option to get a prepaid Mastercard. Once you have an account, you can order this card and will receive a physical card. You can then use this card to withdraw the funds you have in your Payoneer account in an ATM in more than 200 different countries, and you can use it to pay in stores wherever they accept Mastercards. You can only spend the amount you have in your Payoneer account, so you cannot overdraft. Once you have received money into Payoneer, you can use them on the card within 2 hours. 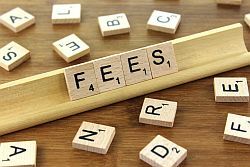 This can be an easy way to get to spend your money, but just make sure to also check out the fees below, as fees are always best to know about in advance:-). If you do not have a bank account, the prepaid Mastercard can be a good option to get your money, as you do not need a bank account to use this option. What are the fees for using Payoneer? Now I have explained about what you can use Payoneer for, and how you can get your money out, once they are in your Payoneer account. Let’s now look a bit on the fees that there are to use Payoneer, as this is a very important aspect for most of us. On Payoneer’s website, it is claimed that independent research has found out that you can save up to 71% of the fees by using their service compared to other similar services. If you are interested in looking more into this, you can find the name of the report on their website and check it out for yourself. I did find the report, and it is quite interesting to look into, if you want to have deeper knowledge about the fees. Let’s looks at the actual fees! It is free to open and have a Payoneer account. From marketplaces or networks (for example ClixSense, fiverr, Airbnb, Upwork, etc.) – the fees are set by the individual marketplaces and you have to check the specific network you are a member of to see the fees for you. If you need to pay a friend, a contractor, a service provider or similar, and they have a Payoneer account, it is free to make your payment. The fees for this depends on your local currency. If you have a bank account in a different currency than USD, GBP, or EUR – The fee will be maximum 2% above mid-market rate (you can read more about what this means on Payoneer’s website). Lower fees are available, if you are a high earning customer. If your local currency is in USD, GBP, or EUR – the fees will be $1.50, £1.50 or €1.50 respectively. Be aware that Payoneer mentions that there might be additional fees charged by your bank that is not directly related to them. So to get the full picture, you need to check this with your local bank. Annual fee – you can order a card in USD, EUR or GBP. Whatever card you order, the annual fee for having the card will be $29.95. Card replacement – if you end up losing your card, you can order a new one for a fee which is $12.95 for a USD card, €9.95 for a EUR card, and £9.95 for a GBP card. Purchase – it is free to use the card to purchase online or in stores. ATM withdrawal – it is an option to withdraw money in any ATM with the prepaid card. The fees for this are $3.15 per transaction for a USD card, €2.50 for a EUR card, and £1.95 for a GBP card. 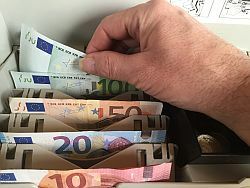 Currency conversion – if you use a card in a country where the currency is different than the currency on the card, there will be a fee of up to 3.5%. I for example live in a country where we do not have USD, GBP or EUR, so if I use the prepaid Mastercard here, I will have to pay this conversion rate. I have tried to give you an overview of the most of the fees there are when using Payoneer. They are however sometimes updated, and I could not include all the possible fees in this article either, as it would then be too comprehensive (and boring). So I encourage you to check out the full terms, conditions and fees on Payoneer’s website as well. 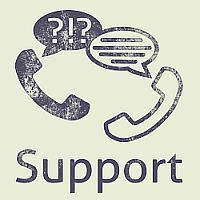 If you should need support, Payoneer offers support 24 hours a day, every day. I have myself been in contact with the support, and it worked fine. If Payoneer is worth joining really depends on so many different things. I my case, I first heard about it as I needed payment from a platform that offered Payoneer, and I wanted to find the best and cheapest way for me to get my money. At first it was a bit confusing for me to find out exactly what Payoneer offered, and if it would be a good option for me. So I have spent a long time to look into the descriptions of it and testing it out. For me it has been a great platform to join to get paid from ClixSense, and I know several people that really like using Payoneer to get paid from Amazon Associates. So it all depends on the platforms you are using and what you preferred way of being able to get your money are. But Payoneer is a reliable site and can definitely be worth considering depending on your needs, the country you live in, etc. And one extra really great thing about Payoneer is that it offers a great joining bonus for you. Get $25 bonus when joining Payoneer! Payoneer is the only online payment service, that I have seen that offers a welcome bonus. If you join the platform through an invitation from somebody that is already a member, you will get a $25 bonus completely for free. As I am already a member, I have the opportunity to give the readers of my website this invitation and thereby this bonus. So if you click the link below and register on Payoneer, you will get this bonus. Just be aware that you will not get the bonus right away, but not until you have received the first $1000 into your Payoneer account. That also makes sense that they are not just giving money away before they are sure that you will actually also use the platform – it is a business right:-) But nevertheless, a really great bonus, if you are considering to use Payoneer regularly. Hope this article has given you a good overview of Payoneer, what this service has to offer, and if it might be for you. If you have any comments, questions, or have any experiences with Payoneer yourself, I would love to hear from you in a comment below. Thanks for your information, such a great article.. Under the part of withdrawing from payoneer with a prepaid mastercard, u said a fee of $3.15 will be charged per transaction and for the conversion rate a fee of 3.5%, by that statement do u mean after the money has been converted to my local currency then 3.5% of the money would be removed? Secondly how do i know the exchange rate for my local currency?? Thanks. Thanks for the feedback Rasheed. As far as I can see, when I withdraw money from Payoneer, the conversion rate fee means that you will get an exchange rate that is lower than the official rate and that is how the fee is paid. So there is the official exchange rate, and then Payoneer will give you an exchange rate that is slightly lower, and you will pay the fee like that. Hope this makes sense, and if not just let me know. To see the exchange rate for you own currency, Payoneer themselves mention this website as a way to see it. Thanks for this brilliant and all round knowledge of payoneer. Thanks for your feedback and for sharing your experiences as well Kenneth. Glad to hear you are anjoying using Payoneer. Wow, I hadn’t heard of Payoneer before I read this. I like that it is another legitimate payout site and that you can use it for different things. I also did not know that some freelance sites such as Upwork use it and you can use to get paid from Amazon Associates as well (if you’re not in the US). I also like that you can withdraw money to your bank account as well. Do you know if other sites are considering adding Payoneer? Thanks for your comment Brian. I know that the survey site PrizeRebel is right now testing it as a payout method, and I am sure the list will keep growing with sites where you can use it. Thank you for the insight, Now I understand Payoneer better, and I will use this also as my payment account and also to get affiliate income. This article is very helpful for me personally. You are explaining with enough detail and it’s clear for me. Again thank you and good luck with all you do. Glad to hear you found the information useful Angus. It can definitely be a good payment platform to consider. I do not know how you manage this, but this is a job well done. I read your information with ease and I dont get bored at all. Let me understand this well, so Paypal does not charge to receive money but Payoneer does, what is their reason exactly as opposed to Pay pal and does it charge from the amount I have received from say surveys or it charges from my personal account (money)? I cannot afford to loose money as I do not make that much! Very happy to hear you find the information on my site easy to read and useful. I really appreciate the feedback. PayPal does actually in many cases also charge a fee for receiving money on the account. 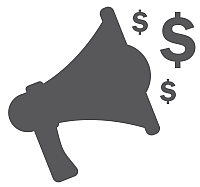 On many survey sites that pay put to PayPal, you will for example have made $20 and then around 3% will be charge of that amount when you tranfer it from the survey site to PayPal. The exact fees (if there are any) can be seen on the individual survey sites. For transferring money from your PayPal to your bank account there will also sometimes be a fee, but in many cases not as high as for other platforms. What the reason is for some platforms to have higher fees than others is a good question. I guess it is like any other service or product that they just sometimes have different prices and different advantages and disadvantages. The fees will be charged from the money in your Payoneer account. Let’s say you have $100 in your Payoneer account that you ave received from survey sites. When you for example transfer them to your bank account, the fees will be deducted from the money in your Payoneer account, so you will receive that amount less into your bank account. Hope that make sense. Great article. I’m currently a paypal user. I had always wonder what other paying methods there were because I knew, as you mentioned, that some countries couldn’t use paypal. This does sound like a pretty good service but I’m not to fund of having to pay for deposits so for now I will stick with paypal. Thanks for sharing your thoughts Ian. If PayPal is working with the platforms you are working with and in the country you live in, it is definitely a great platform. In case you at some point need an alternative, you now know that Payoneer is one of the possibilities. I have never heard of Payoneer, I currently use PayPal for a lot of different services so since the two are similar I understand the concept. I think one of the drawbacks for me is that Payoneer charges fees for money to be deposited into a personal bank account where PayPal does not. I see that for some affiliates you stated PayPal is not an option so in those scenarios I guess Payoneer would be the ideal choice. Great article, you seem very informed on your topic. It was very easy to understand and follow. Hi Mikael! Really interesting article about payoneer. I really liked how you wrote it so comprehensively but at the same time still so easy to understand! Anyways, what are your views on the difference between paypal and payoneer? Is the payout rate still roughly the same? Which is your favourite? Glad you found the article easy to understand Kai. I have tried to give a good overview, but still keep it simple as that was what I was missing when I first started doing research about Payoneer and other online money transfer services. It quickly became overwhelming and it was difficult to get a good overview. So I am very glad to hear that I have managed to make the info more accessible. The payout rate from PayPal vs. Payoneer from what I have tried and can see from the numbers I have been able to find, should be roughly the same. According to research that you can find on Payoneer’s own website, they even claim to have a slightly better payout rate than PayPal. So which platform is best depends on your needs. What I really like about PayPal is that it still has the most cooperations in relation to where you can spend the money, if you do not want them transferred to your bank account. But Payoneer will probbaly keep expanding in this direction as well. In some cases like for example Amazon Associates and ClixSense, PayPal is not even an option. And then I think Payoneer can be a great option, and it seems to be one of the cheapest options in many cases as well. And I think it is a really great bonus that they are offering $25 for free, if you join through an invitation that allows for this. Hope this answered your question, and if not feel free to write again.